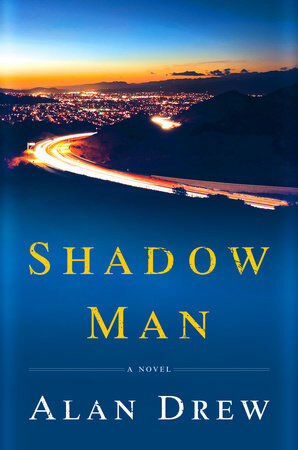 MY BOOK, THE MOVIE: Alan Drew's "Shadow Man"
Alan Drew’s critically acclaimed debut novel, Gardens of Water, has been translated into ten languages and published in nearly two-dozen countries. He is a graduate of the Iowa Writers’ Workshop, where he was awarded a Teaching/Writing Fellowship. An Associate Professor of English at Villanova University where he directs the creative writing program, he lives near Philadelphia with his wife and two children. My wife and I sometimes sit around and talk about the fancy things we’ll buy when the movie rights sell. For example, “When the movie rights sell, we’ll buy a beach house on the Mediterranean coast of Turkey.” So this is a nice little fantasy (delusion?). The novel is told from three different points of view: Detective Benjamin Wade, medical examiner Natasha Betencourt, and serial killer Ricardo Martinez. For Ben, I’d need an actor who can play the classic American male stoic tough-guy, but one who can also express real vulnerability. The book is set in Southern California in 1986, and Ben is the son of the last cowboy of a small south Orange County town, Rancho Santa Elena (the fictionalized Irvine, CA), that is now being devoured by development. Detectives are the new cowboys in American pop culture, and the male archetypes in these fictions often celebrate, to my mind, problematic constructed ideas of masculinity. With Ben, I wanted to play on that archetype and then undermine it a bit too. My neighbor says Aaron Eckhart is perfect, but I think he’s a little too clean cut preppy. My wife thinks Viggo Mortensen, but I think that’s because she’s had a crush on him since the Lord of the Rings films. For me, a younger Chris Cooper would be ideal or Ed Harris in his prime. But since we cannot turn back time, I think someone like Matt Damon would work. Damon is about the right age for Ben and has the kind of rugged good looks that would work for a weathered detective. Damon also has the emotional range and vulnerability that would be ideal for a protagonist like Ben Wade who is hiding a dark secret he’s frightened will be revealed. While this novel is really Ben’s, Natasha Betencourt is the hero of the book. She is also a sort of love interest for Ben, though his enigmatic nature is a constant source of frustration for her. Natasha is tough. She’s a woman working in a man’s world before most men were ready to accept women into their ranks. She’s also extremely perceptive and knows something’s off about Ben. Later in the novel, she begins to investigate Ben and starts to unravel his secret. To do this, she has to break rules, go behind his back, and ultimately confront him. I think Jessica Chastain would be a good fit for Natasha. As an actor, she has a toughness and intelligence that would work well. She’s also able to express a fierce tenacity that verges on obsession. I think she’d kill it as Natasha. If she’s not available? Then I think we’d have to get in touch with Claire Danes’s agent. Ricardo Martinez, the serial killer. Hmm… I have no clue. Martinez is a sort of monster—though a very human one—stunted emotionally and physically by a horrifically abusive childhood. Couldn’t be a big star actor, some kind of character actor or stage actor, I think. 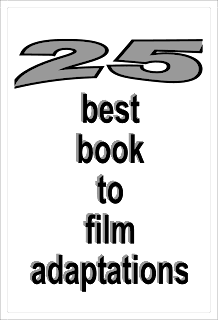 Michael P. Spradlin's "Prisoner of War"
Hallie Ephron's "You'll Never Know, Dear"
Sarah Azaransky's "This Worldwide Struggle"
Mitchell Stephens's "The Voice of America"
William C. Dietz's "Seek and Destroy"
Sarah Creech's "The Whole Way Home"
Tessa Harris's "The Sixth Victim"